Help support the site! All sorts of extra stuff can be yours if you become a patron! You could even be part of the comic like Katie here! The start of a New Year…The start of all new mistakes! We’ve had some recalls for books from time to time for one reason or another, and it’s never as exciting as I want it to be. 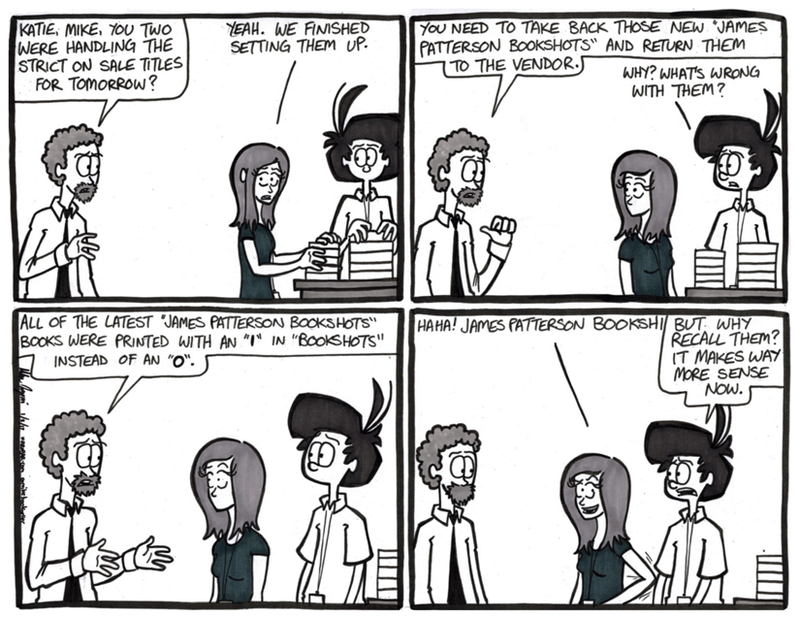 James Patterson is one I’d love to see a book of his get recalled. Maybe he finally reads one of the books he “wrote” and realizes that he needs to give it a few more drafts… Or the whole book is just the word “potato” over and over again. The man has a book or two come out every month, you’d think that every once in a while something slips through the cracks and one of James Patterson’s ghost writers tries to see what they can get away with.